This week a new facial rejuvenation product was launched in the UK claiming to reduce lines and wrinkles. Its USP was that it contained gin botanicals with collagen; the combination of which supposedly can repair the skin from sun damage and even smooth fine lines. It’s no surprise that these skincare products are always fairly popular when they are released, but in the long-term, it’s unlikely they will really offer much in the way of facial rejuvenation. Cosmeceutical skincare can play a part in keeping your skin looking youthful and bright, but most patients, especially those over 50, will find that a more long-term solution with tangible results is preferable. Anti-ageing facial rejuvenation treatments in London are a reliable option for men and women looking to reduce ageing signs, such as lax skin, wrinkles, crow’s feet and hyperpigmentation, and can include both non-invasive and surgical facial rejuvenation procedures. Facial rejuvenation surgery can include one or more procedures which are usually designed to lift and tighten the skin and muscles, leaving the patient looking more youthful and refreshed. 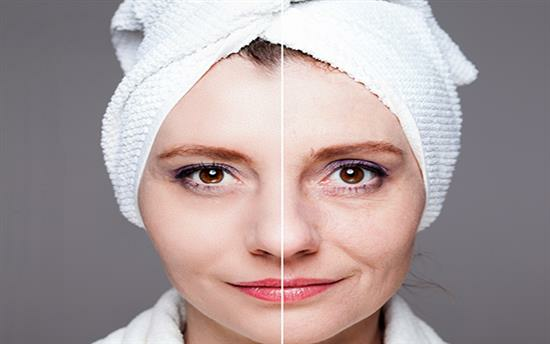 Whilst the results are not permanent – you can’t stop the ageing process after all – they can help you to age better. In fact, in most cases, you will still look ‘better’ ten years after facial rejuvenation surgery, compared to if you’d never had it. Facial rejuvenation procedures can include facelift surgery, neck lift surgery, blepharoplasty and eye bag removal, brow lifting, and procedures to augment the cheeks and return volume, such as fat transfer. Non-surgical facial rejuvenation treatments in London may involve one or more topical or injectable treatments, such as dermal fillers, muscle relaxing injections, chemical skin peels and volumizers. It’s not unusual to combine surgical facial rejuvenation with non-invasive options, as they offer contrasting outcomes. Which form of facial rejuvenation treatment in London would be suitable for your individual concerns is determined during a consultation, which is a private one-to-one appointment allowing you to ask questions and have your issue/goals assessed. Once you’ve undergone a consultation and a facial rejuvenation treatment plan has been devised, your clinician or surgeon will provide you with safety and risk information, as well as how to prepare for your treatment or procedure. You may even be invited back for a second consultation, although this is more common for patients considering facial rejuvenation surgery, rather than non-surgical alternatives. Ageing takes the biggest toll on the face, which can be hard to come to terms with as this is the part of ourselves that people notice first. Some people can find their heavily sagging skin and/or a drooping brow or eyes difficult to accept, but there is help out there for patients that believe anti-ageing facial rejuvenation treatments may provide a self-esteem boost.